Coach Jerry Alexander liked what he saw, at least in terms of how Sam raced. "Sam led right form the gun, and Webb was happy to sit back and let Sam do the work. When Webb made his move with 4 laps to go, it was decisive, and Sam could not answer. But Sam ran an excellent last mile, and finished in 1:39 for the final 600. If Sam had some help with the pacing, he certainly could have run a PR. 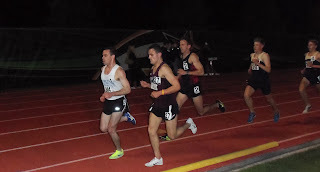 As it was, he ran an excellent race that will leave him confident and ready to roll at Penn." Video courtesy of University of Richmond Track and Field. Jon Molz, videographer. 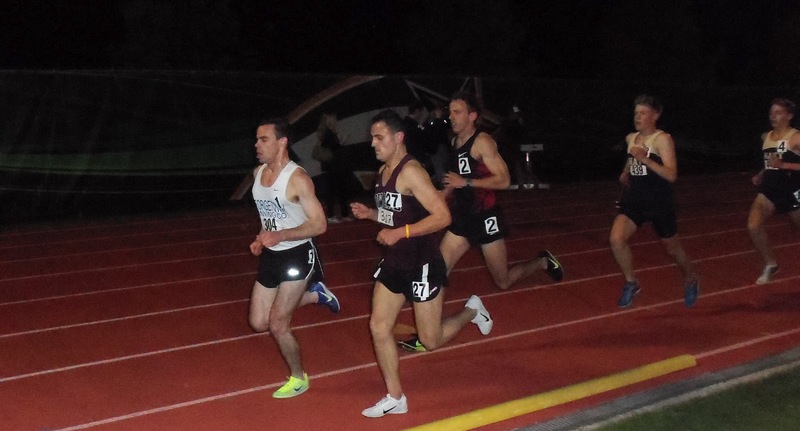 Up at Bucknell, New Sam ran 15:20.55 and Dave Wertz 15:29.79, with Dolla Billlz hitting 15:50.07. Good work Sam! You'll be ready to crush it at Penn. "Thanks to Sam, Alan had someone to follow" - J. Webb. Great work Sam, that's really awesome! For a guy with a 13:10 pr, he sure ran like a coward. Nice job Sam-way to run tough. I loved seeing you go straight to the lead. All guts. There needs to be more of that in championship racing.